When exposing API’s for consumption it is of paramount importance that the API access is controlled so that service consumers are not able to misuse these exposed API’s. 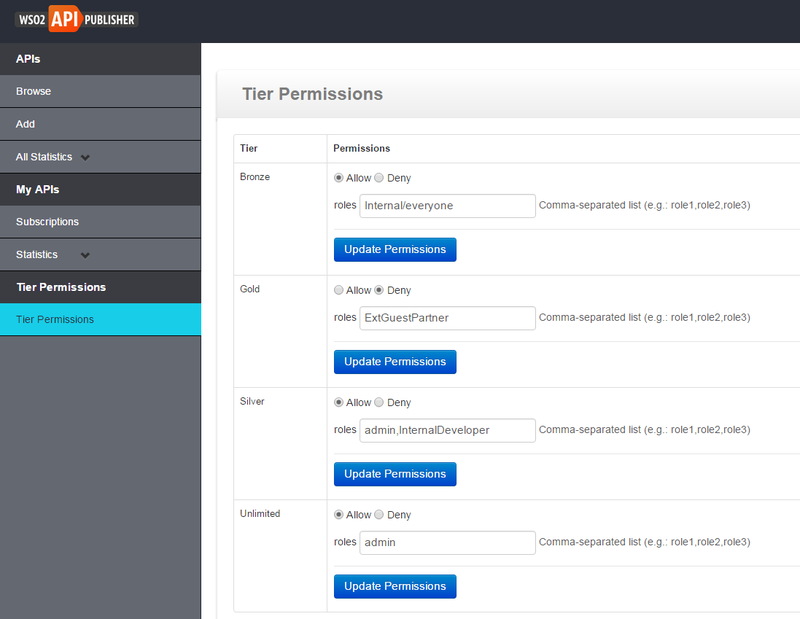 WSO2 API Manager provides the capability to throttle API’s that are exposed via the API Manager. API Manager allows throttling at multiple levels. To understand the above levels of throttling we need to first understand the concept of API’s and applications in the API Manager. Lets related the above diagram to different throttling tiers that are available with the API Manager, this can be illustrated as below. Each application can have a throttling policy defined that would limit the aggregated number of API calls that can be made to API’s subscribed under that application. In this case we can throttle the number of API calls made from the weather application irrespective of whether they are calling the Location or the Weather API. A throttling tier can be associated to an application from API Store. This can be done by navigating to ‘My application’ tab as shown below. The choice of throttling plans that needs to be associated to an API can be selected at the point of API creation. Given below is a screenshot which shows how to add a throttling plan to an API. WSO2 API Manager also allows you to define throttling tiers for each resource within an API. This allows you to have more control on how each resource is throttled in a given API. In the above example the Weather API would have two resources ‘getWeather’ and ‘getFullWeather’ which can have two different throttling tiers. A throttling tier can be associated to a resource at the point of API creation. This is shown in the screenshot below.